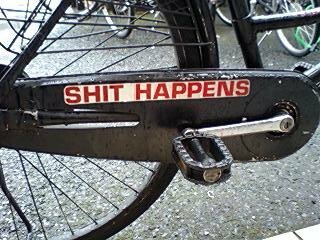 Words of wisdom found on the chain guard of the bicycle belonging to the elderly Japanese gentleman in charge of maintenance around our building. Wise words indeed. Along the lines of Que Sera but far more accurate!